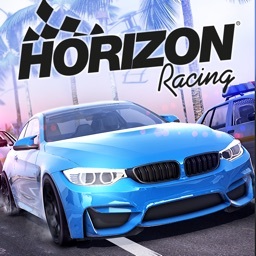 Racing Burnout Shattered Horizons is a unique style of racing game. With real hot pursuit of cops this game will bring in all the excitement of a Cop chasing Racer. Only this time the racer will be given power weapons. There are in total 6 various types of weapons. All with different style and hit level. Weapons get spawned for few seconds so you should be quick to grab them. Every weapon has their own Cooling time and Expiry time. 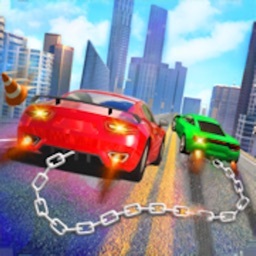 - Race with the top racers in town. They are just wandering around the highway. Waiting to be challenged. 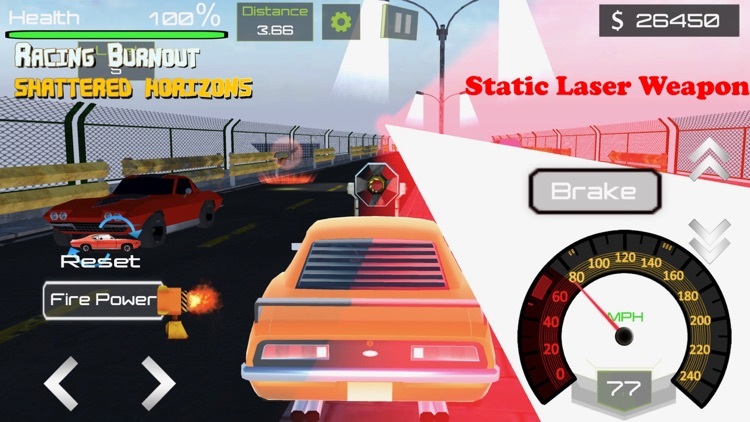 - Activate Weapons to blow all the cars who are on your way. And in return you get to take all the money left behind. - Each car has different value. 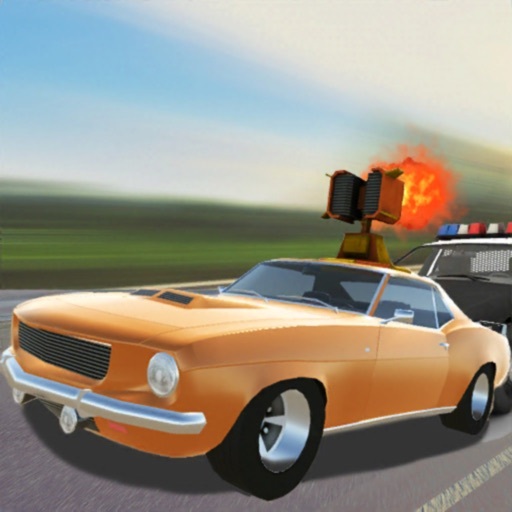 - Blow up cop and get minimum of $500 instantly. - Not all things are in your favour. Cops have exceptional speed. - Different type of cops have different health levels and price value. - You have only 100% health, but that is all you need to go through them all. - Health is re-spawned every time you are low on health. 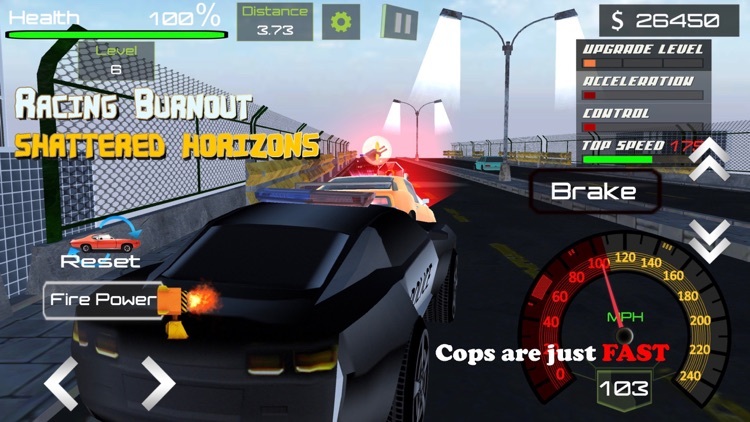 - Cops are Intelligent and will reverse themselves to get you and hit you harder. - All Car crashes are observed in real physics. - Do not go too fast else the damage would be higher. - If you cant handle your car then don’t worry. We wont let you just loose at this game. Enjoy the 2 trial worlds. 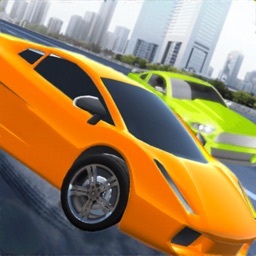 - Trial mode offers 2 racing tracks. 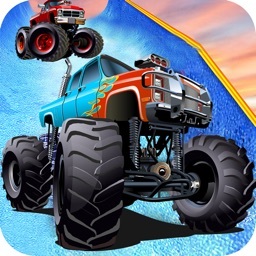 - Drive your way around a circuit and try to beat your opponent racer. And also enjoy the beautiful scenery. - Or go on a race track to learn some things about driving. Take your car out of Garage and drive it along the racing track with 2 other opponents trying to be the fastest. This game has lots to offer. 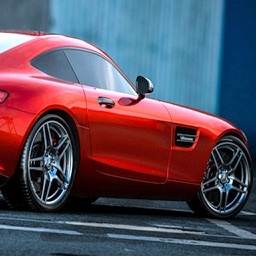 With real world car tuning you can speed up your car to its maximum speed. 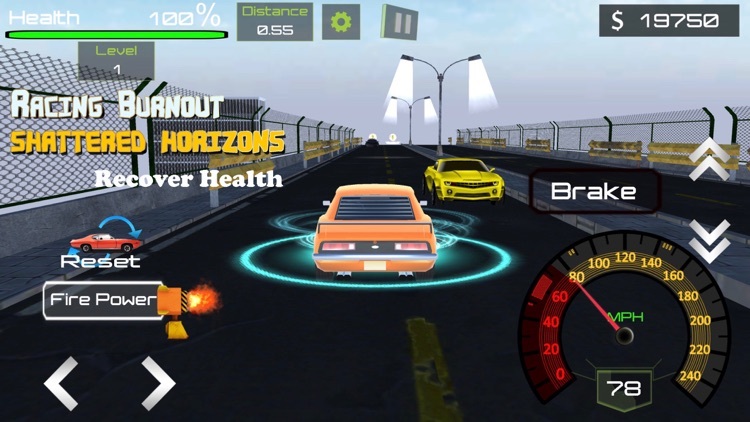 Racing Burnout will show you how the real tyres Burnout on the Long Highway. 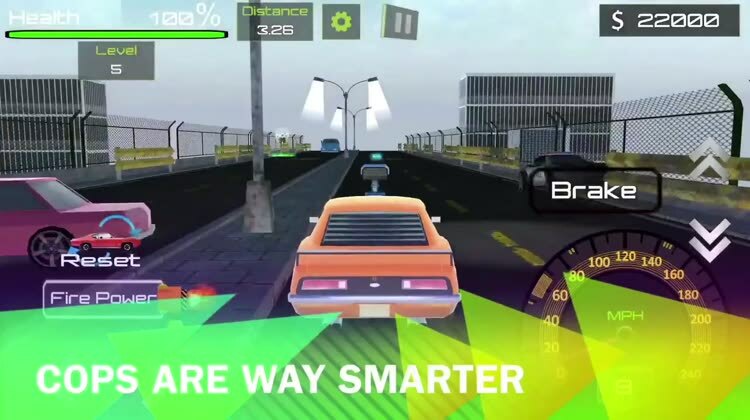 Be the best Highway Racer in town. Shatter all the Horizons you see. 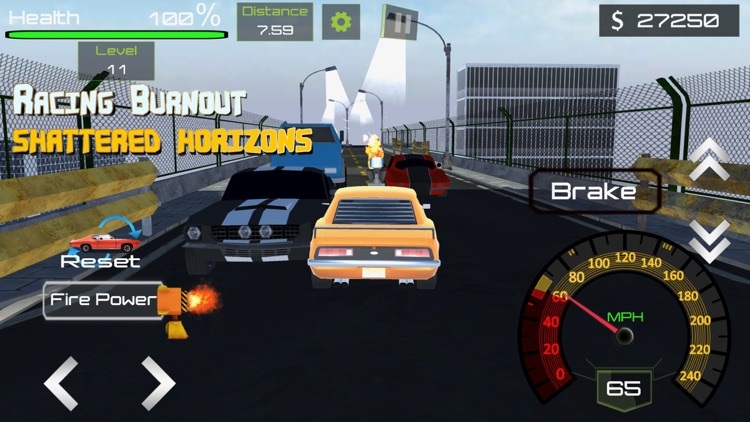 Blow up the track and burn the cars around you. 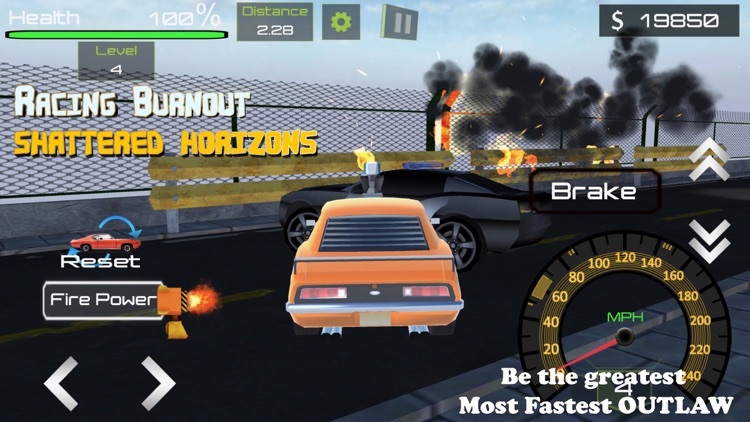 Be the Fastest in this Racing Burnout Shattered Horizons game. Make note you are driving an American Muscle car. So definitely she can take some beating and still come out on top. Burnout all the Tyres and Break all the Laws of Racing. Cars are waiting for you to race. Racers are ready to challenge you. Are you up for the challenge so HOT? COPS are all ready to take you down!! Time to burn on your Race! !